Even being around for years, credit cards still have half-truths or myths. A few of them are partially or somehow correct but others are completely wrong. 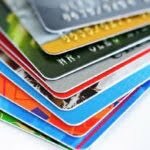 So if you’re planning to get a credit card or you already have one, you should get informed by these credit card myths and the truth behind them. Majority of credit cards have a corresponding limit, however there are some who have “no limit”. Although you might think that you can buy anything with that card, the truth is – you can’t. You can try and buy a jet to see for yourself. The card issuer will determine your limit even if they issue a “no limit” card. Of course you wouldn’t know that you there is actually a credit ceiling until a transaction of yours get declined or disapproved for purchasing something unusually expensive. The issuer usually bases the ‘hidden’ limit on your spending behavior, income, payment record, and credit history. Paying your debt in full month after month means there is no interest to be paid. So many people think that if you do the same banks don’t want to you anymore because they don’t earn interest from you. Well, this myth is absolutely incorrect. The fact is – credit card issuers have other sources of profits other than interest such as the annual fees, the 2-3% transaction fee, foreign transaction fees and a couple more. So bottom line, banks still earn profits even if your card is on idle or you pay diligently. Unless you are promised by the card issuer of a fixed credit rate, the rates changes over time. Issuers use different methods to compute for your interest rate. Usually market forces have an impact to interest rates but there are also other parameters that bring rate changes. Apart from market forces and other parameters, credit interest rates can be negotiable. The process is not really straightforward and most likely requires certain circumstance and several layers of escalation but in essence it can be negotiated. Thus, it is safe to say that credit rates are not fixed. When you have a large debt and have defaulted payment multiple times, the credit issuer have the discretion to file a lawsuit against you. In which case, the court can go after your properties to satisfy the debt that you incurred including interests, collection fees, and legal fees. So it’s never a good idea to go to the point where you get sued because your liability will become even bigger and worse than it already is. In the Philippines, unpaid debt is considered a civil liability, NOT criminal. So there is no chance of you getting into prison for not being able to pay your debt unless fraud is committed. Although, again, the issuer can sue and go after your properties, if you really can’t pay or you are declared as bankrupt, the issuer has no other choice but to reclassify your debt as uncollectible. Hence, if you’re scared to get jailed for a credit card liability, don’t be.